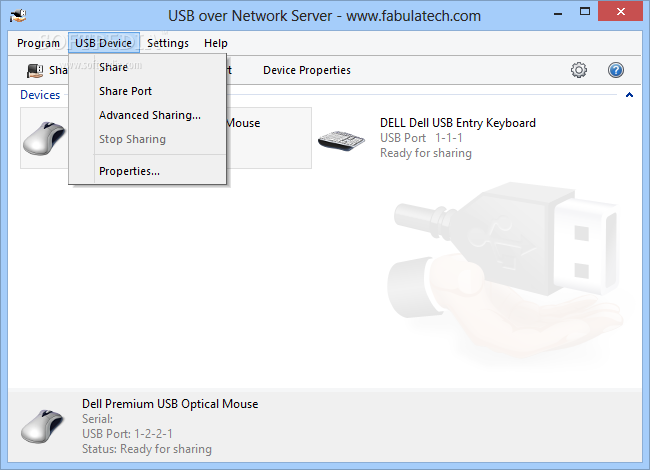 If you want to share SUB disk drive to all computer on your network, probably you need to check USB Over Network software, this is a simple solution to share USB disk drive to all connected computer. USB Over Network software consist of two main configuration, the first is server and the second is client. 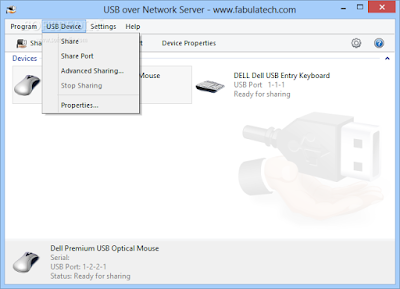 From computer which is installed USB Over Network client, you can directly access USB disk drive that plugged on computer server, however your USB disk drive will be not accessible on computer server. On computer server, you can find the list of plugged USB disk drive, you can choose one or more USB disk drive to share from the list, however make sure you are not choosing other USB peripheral that connected to computer, because USB Over Network software will read any devices that plugged to your computer via USB. USB Over Network software is very lightweight and simple, only a few amount of CPU resources that will be taken when running this software. If you want to run USB Over Network software on your network, make sure you has specify which is computer used as server. To be able installing USB Over Network software on your computer, make sure you had running any versions of Microsoft Windows.